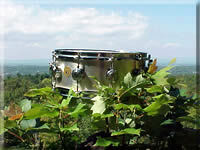 Home of the happy drum, which will be happier if you buy it and play with it. Our online catalog of Vintage Drums, Cymbals and Everything In-Between. Featuring Rogers, Slingerland, Leedy, Ludwig, WFL, Gretsch, Camco, Premier, and more. 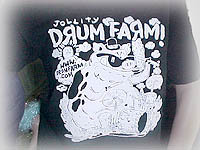 Jollity Drum Farm T-shirts are here !!! 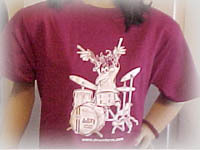 We now have a crow playing a drum set on one shirt, and we also have a pig playing drums on another shirt. Our original logo contest, and later entries, have produced drawings we like and have used by Carlo Scafetta, Doug Hutson, and Paul Corio. For those who have not tried yet, we still entertain entries, and we will still award another $150 Drum Farm credit to any new artwork entries chosen. So why not try? 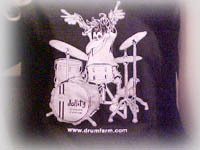 Show your drums as artwork, and if it becomes the next shirt, you will get a free shirt too. LOOKING FOR HARDWARE or PARTS? We have a huge stock of hardware and parts for your project drum or kit. Just email and let me know what you're looking for. 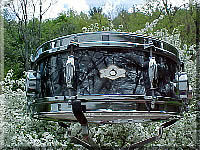 I would like to take in trade anything Rogers in any condition on any other brand of drum. It helps you as it helps me. I also need a good deal on any other brand of drum equipment that you don't need. So go find some drums that you don't need & give me a call or email. We'll see what we can do with them. Layaways? Sure. Flexible terms? Make up a few, run them by me & follow through, we could be swapping. We used to try to send lists once per year even if we didn't hear from you. 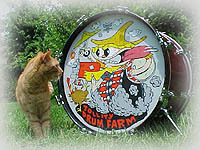 Now with this web page and increasing postal and printing expenses, we have slacked off on mailing the Jollity Drum Farm drum lists out like we used to last century. If you would like a current print I can mail you one if you let me know. 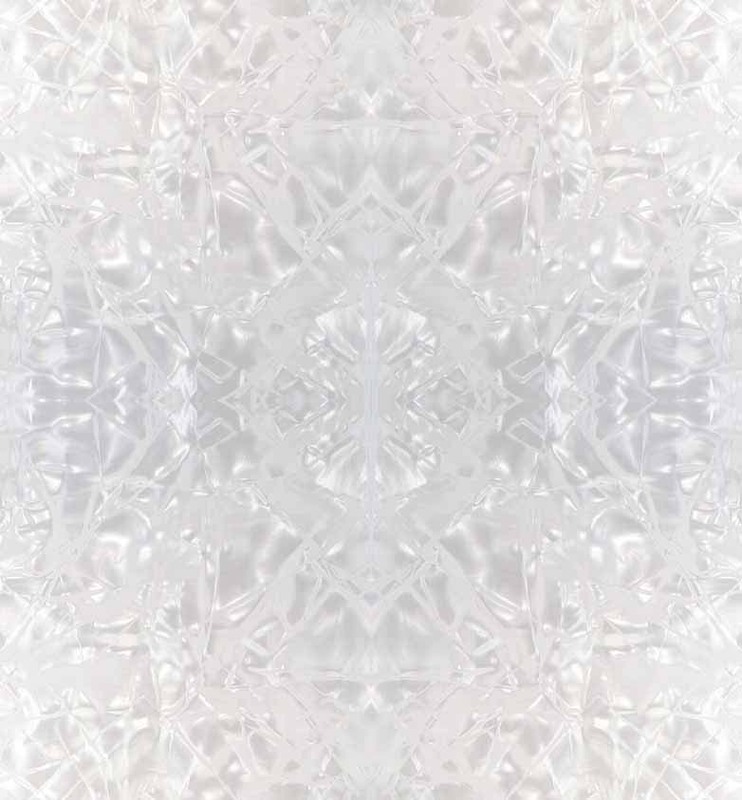 Or I can email you my drumlist.txt which has the same basic listings as this web page, but will include weekly updates for sure, so ask for it please, and be the early bird..